These rules are the basis for all relationships to thrive. The reason why we should only have three basic rules on which to base limits and boundaries is that giving children too many rules to follow, especially at a young age, will only frustrate and overwhelm them. These basic rules are easy to understand and will make sense to children, though young children will require much guidance and reminders to help them cooperate with these basic rules. It is important that while boundaries and limits are a bit flexible, that they are also consistent and hold firm. Some parents may set boundaries and limits based on the three basic rules, but then they allow their children to break right through them. How many of us heard our parents say, “Because I said so,” when we wanted to know why they were either making us do something or not allowing us to do something as children? Did it make us want to cooperate? For me, it didn’t make me want to cooperate. It just made me angry. I believe that mutual respect dictates that we provide a simple reason for our limits. Also, giving children lead times will help make it easier for them to cooperate. Say, for example, “In five minutes it will be time to clean up and get ready for bed.” Be sure to get on the child’s level and say this. In fact, getting on children’s level whenever a limit or boundary is being set will help the child feel respected, making cooperation more likely. If possible, when setting limits, give children choices such as “Would you like your Hello Kitty pajamas or your Mickey Mouse pajamas?” Or, “Do you want to walk to the bathroom or would you like me to carry you?” “Do you want to race to clean up with me?” Anything that gives children some control over the situation is a good thing. Now, what if you set a limit and the child won’t cooperate? Simply say, “I see you’re having a hard time cooperating, so I will help you.” Giving help or making a choice when the child isn’t able to make up his/her mind isn’t punishment. Children need to learn that there are times when we must do things that we don’t want to do. Just be sure to validate their feelings when they get upset about the limit. Please see here for posts about validating feelings. There’s never a reason to punish a child for not cooperating as he/she will experience the natural consequences of his/her behavior. See here for tips on using natural consequences. I will be writing a post about using time-IN instead of time-out soon. It’s important for me to point out again as I close, children are NOT “little sinners” that need the “devil beat out of them” as so many Christians continue to believe. They’re beautiful human beings that God created that need our help to navigate this world. Jesus drove demons out verbally. He befriended and corrected sinners. Then, amazingly, our Almighty God chose to suffer and die on the cross for all of humanity’s sins. He was sinless. Grace, mercy, gentleness is for children too. Jesus even held children up as an example for *us. * So may we discipline children in the way that Jesus disciplines us through setting realistic limits. Gentle parenting looks at the whole child instead of just the behavior. Children often act out in order to communicate a need to us. So many times parents focus solely on the unwanted behavior and ignore the fact that the child is trying to communicate. We need to understand that there is usually an unmet need behind unwanted behaviors. Once we can figure out that need and meet it, the unwanted behavior usually disappears. For example, a child who is getting sick may exhibit more aggression. If a child has a more serious condition such as a sensory processing disorder or Autism, they may exhibit more unwanted behaviors. Instead of thinking that a child is being defiant or manipulative and punishing the child, we need to understand he or she probably has an unmet need. A little detective work can help a great deal in stopping unwanted behaviors. That detective work includes something called tarry time. Tarry time is when we give children ages birth to five a few moments to process verbal stimuli. The young brain takes longer to process new experiences. Giving children time to process and respond to us is very helpful. For example, waiting ten seconds before repeating a request can allow the child to cooperate. It is developmentally inappropriate to expect young children to always respond immediately. In an emergency be prepared to help the child cooperate. Parents and caregivers may find tarry time is beneficial for them too. When confronted with a stressful situation, taking time to count to ten can help us remain as calm as possible. Understanding that all children have needs is crucial for treating them with respect. Ignoring a need and/or punishing the child for having a need will only make the child act out more. Listen to your children. Validate their feelings and try to meet their needs as much as possible. You will find that your children will be more respectful to your own needs. 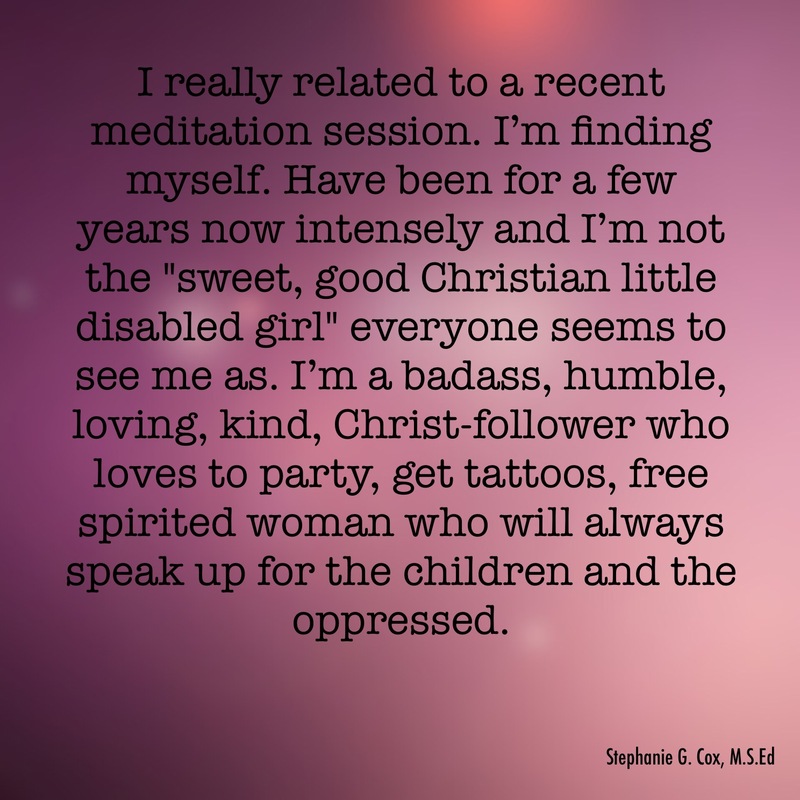 So many Christians view “strong-willed” children in a very negative light. There’s a book by James Dobson entitled The Strong-Willed Child that I can’t stand. Dobson’s way of punishing these children include multiple spankings/hittings and other harsh punishments in order to break their wills. Equating love with pain has been proven to be damaging to children. I’m well aware that Dobson claims all research proving spanking is “harmful” to children is somehow “biased.” As someone who has conducted my own scholarly research, I can assure you that strict guidelines are upheld. There are many more studies showing the harmful effects of spanking than the few small studies claiming “loving” spanking isn’t harmful. It makes me feel physically ill that many Christians use this horrible book on their children. Yet, in the Bible, we see that God uses many strong-willed people to do His Will! The most strong-willed person in the Bible that God used to do so much good for the kingdom of God, I believe, is the Apostle Paul. “Then Ananias went to the house and entered it. Placing his hands on Saul, he said, ’Brother Saul, the Lord—Jesus, who appeared to you on the road as you were coming here—has sent me so that you may see again'” (Acts 9:17-19, NIV). From this moment on, Saul, who became Paul, lived his life for God, fearlessly proclaiming the gospel to all surrounding nations despite numerous beatings, imprisonments, and shipwrecks. Through the Holy Spirit, Paul wrote between thirteen and fourteen books of the New Testament—this is over half of the New Testament. And anyone who is very familiar with the New Testament knows that Paul tells it like it is. He didn’t sugarcoat anything that God inspired him to write. He encouraged his fellow believers, but also rebuked and corrected them in his letters. Through Paul, God gained many believers into His kingdom. God did not break Paul’s will. God molded Paul’s will into doing good instead of persecuting Christians. Had God broken Paul’s will, do you believe Paul would have clung to God through all the suffering he went through to share salvation through Jesus Christ? Broken, compliant people are usually not strong people in that they find it very difficult to press against the tide. Strong-willed people have an easier time of questioning authority. They also have an easier time of pressing on when persecution occurs. “We are struck down, but not destroyed; always carrying about in the body the dying of Jesus, so that the life of Jesus also may be manifested in our body. For we who live are constantly being delivered over to death for Jesus’ sake, so that the life of Jesus also may be manifested in our mortal flesh. So death works in us, but life in you” (2 Corinthians 4:8-12, NASB). 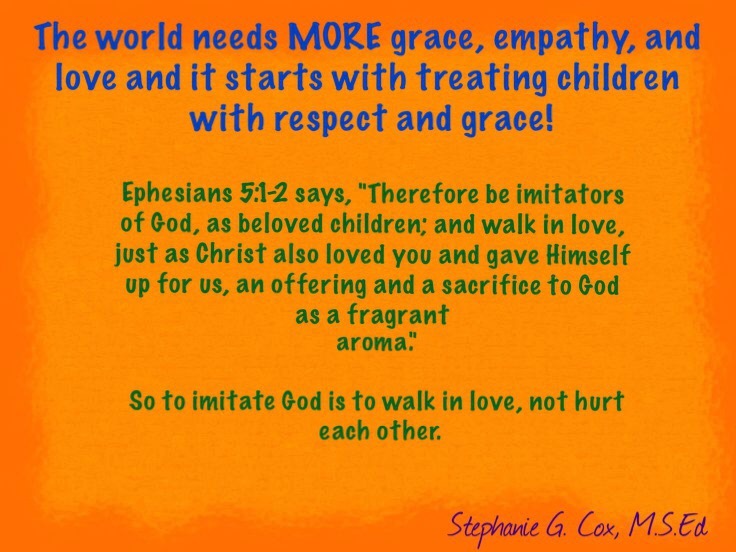 What I wish Christians would stop doing is viewing children as “strong-willed” and “manipulative.” And view them as intelligent, high spirited children who need much connection and guidance. Having high spirited children can be very challenging. But they can be disciplined without punishment. These children need to be heard. They need some control over their environment. They need lots of connection with us. They also need to have a great deal of consistency. By taking the time to truly work with high spirited children, we can channel that strong will into doing good and, ultimately, God’s Will. I highly recommend the book, Raising Your Spirited Child. For the majority of Christian families there is a real emphasis on making children obey their parents. Everything seems to center on obedience. When children don’t obey, parents feel they must punish the children through spanking/hitting or other types of harsh punishment. These well-meaning Christian parents believe that if they don’t teach their children to obey authority, then they won’t obey God. Nowhere in the family living instruction Scriptures in Ephesians or Colossians does it tell parents to force their children to “obey them.” In fact, the Greek word used for “obey” in both of these Scriptures is “hupotasso,” which means to voluntarily submit or listen under. And if you read the whole passage in Ephesians, it emphasizes more mutual submission within the family where everyone has a role to play instead of a hierarchy where certain members are dominant over each other. Sadly, many Christian families are trapped in hierarchy where the focus is on control. This is not what God had in mind. Yes, the husband is the head of the household, and yet the husband is to love his wife as Christ loved the church. Meaning to sacrifice for her which makes her want to submit to him by listening to him and giving him respectful consideration. This is cooperation and teamwork! The same applies to children. When parents give children respectful care and consideration, children are more likely to cooperate with their parents. They learn to trust their parents. They also learn that they are an important part of a team. Teamwork and cooperation are key in the world! Everywhere, when people work together, things actually get done. I’ll be honest. I have a real distaste for the word, “obey,” within the parent-child relationship as I saw first hand how it destroys connection instead of fostering it as cooperation does. The parent focused on cooperation will give the child multiple heads-ups that it will be time to go soon. If needed, they will validate the child’s not wanting to go and will later ask the child how to better help him/her get ready to go if the child had a hard time making the transition. No, cooperation does NOT mean parents let children rule the roost. Cooperation simply connects the parent and child, thus, allowing the parent to work *with* the child! True discipleship happens in families that focus on cooperation rather than obedience. Cooperation also removes the need for punishment. Obedience tends to foster an attitude of “Obey me or else.” On the other hand, cooperation allows natural consequences to happen. It teaches. It disciples. It even allows respectful back talk. True obedience to God comes out of cooperation! Real obedience cannot be taught as it is a heart issue. I obey God because I love and trust Him. Forced obedience to parents is fear based, and therefore, fake. Yes, fake! Obeying only out of fear in order to avoid being punished isn’t true obedience. It’s very sad that some parents don’t care why their children obey as long as they obey. Another reason why I really dislike using obedience within the parent-child relationship is we’re not God and are mere sinners. Only God is worth obeying. He will never lead us down the wrong paths. Humans will. Finally, I can hear pro-spankers asking, “What about the police? The police won’t negotiate with us.” Yes, sometimes immediate cooperation with authority figures is a must. Children raised with respect usually have no problem respecting other authority figures. And we should teach children that police are there to help us, so we must always cooperate with them. In fact, research shows that people that grew up in homes with harsh corporal punishment are at a higher risk of being criminals. Cooperation should be our aim within the parent-child relationship. May we foster true obedience to God by making cooperation our aim within the family.